Fishing in Alaska is an activity some might only dream about, but once you’re here it couldn’t be easier to find the right spot to reel in the catch of a lifetime! Whether you’re chartering a boat solo or letting a guide take the proverbial reins, Alaska is home to some of the biggest (and tastiest) fish around. We’ve collected a few of our favorite fishing spots around the state, featuring some incredible tours that will guarantee you don’t fly home without a cooler full of Alaska’s most sought after seafood. The world-famous Kenai River is one of Alaska’s most popular fishing waterways. Nearby, the Kenai Princess Wilderness Lodge has full-day and half-day tours operating in the summer that cover 17 miles of river through the Kenai National Wildlife Refuge. 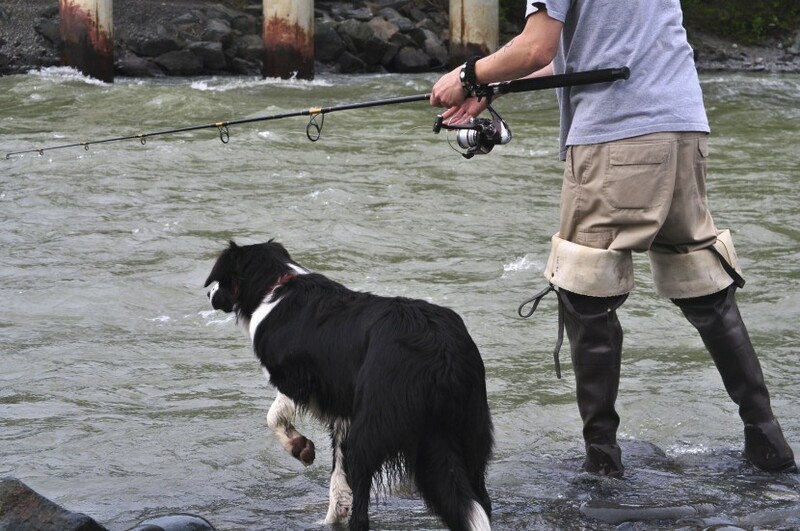 Anglers can fish for sockeye and coho salmon as well as Dolly Varden and rainbow trout. Keep a tight hold on the reel, because the Kenai River is the site of a world record-shattering king salmon that weighed in at a whopping 97 pounds! If you’re headed north and looking for a relaxing afternoon of fly-fishing a la “A River Runs Through It,” we’ve got you covered with a tour on the Jack River from our Denali Princess Wilderness Lodge. Your guide will teach you everything you need to know to hook an Arctic grayling, a freshwater fish that stems from the salmon family, including how to cast, roll cast, match the hatch, land the fish and how to properly catch and release, all in the breathtaking wilderness of Denali National Park. Historic Talkeetna, located just a few hours south of Denali, has ample sportfishing opportunities based out of the Mt. McKinley Princess Wilderness Lodge. Our guides can scoop you up from the lodge or the nearby Alaska Railroad train depot to make sure your day is nothing but relaxing. With options for spincast or fly-fishing and top-of-the-line gear, you’ll have everything you need to try your hand at hooking the coho salmon that this river is famous for. The trip lasts between seven and nine hours and, season depending, also offers guests opportunities to catch king salmon, rainbow trout, grayling and Dolly Varden. Boasting none other than the famous Copper River red salmon, the Copper River Valley is home to some of the best salmon fishing in the world. Our Copper River Princess Wilderness lodge has full and half-day tours available where guests can experience salmon fishing while rafting the scenic river. Snacks and lunch are provided, and for a little extra we’ll even process, freeze and ship your catch back home to you! Jet-boat tours are also an option for those with a need for speed.